This highly tactile and functional piece takes its inspiration from the helm wheel used to steer sailing boats. 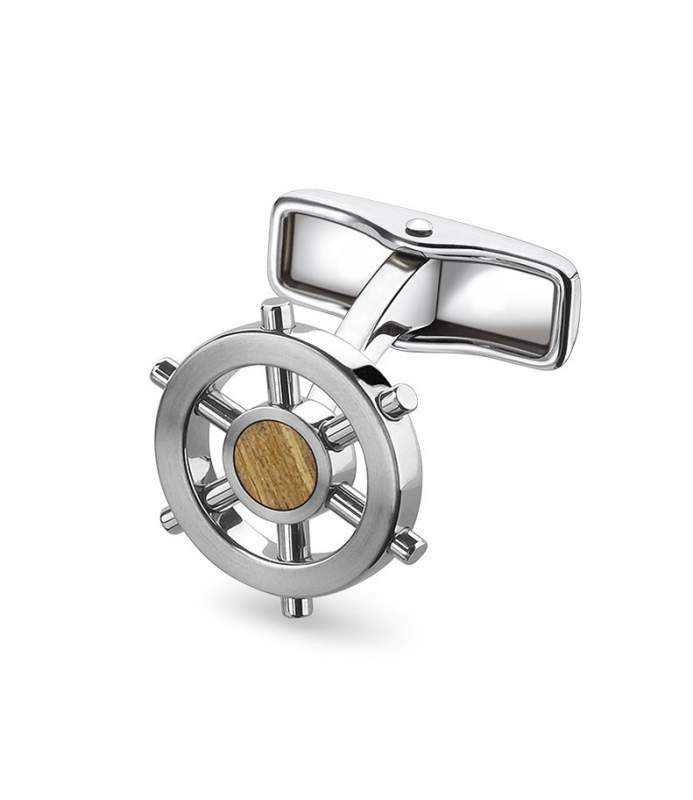 Teak wood is the material traditionally used to make helm wheel, and it makes a beautiful and unique addition to the centre of these cufflinks. Unbelievable price on Helm Wheel Cufflinks in London (United Kingdom) company Dunhill, Company.